With a global shipping network across regions and strong partnerships with major ocean and road carriers, international freight forwarding is one of our core services. 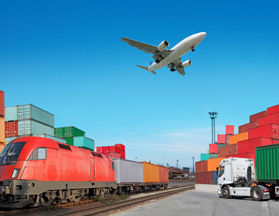 We offer reliable and competitive freight forwarding solutions that support the client’s continual growth and expansion in old and new markets. Our special capabilities to handle shipments ensuring that each of our customers achieves the utmost cost efficiency when moving their freight internationally. We offer flexible and cost-effective inter-modal solutions to cater to customer’s specific needs in terms of cost, transit time and routing. Visibility, accessibility and connectivity are the backbone of our IT systems. Through continuous improvement we consistently devise new freight models and innovative solutions to meet our customer’s ever-changing business needs.